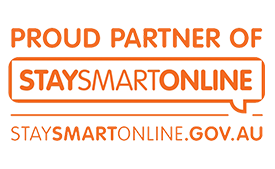 We are pleased to announce we have been acknowledged as a 2017 Finalist for WA Innovator of the Year. We are one of three Growth Category finalists who have been selected to progress to the second stage of the evaluation process, which culminates in a presentation to the Evaluation Panel. Our partners and investors know our focus is firmly on partnerships and growth. Any recognition and Business Capability Training to help us extend our reach is valued. We also welcome the spotlight placed by government on Innovation because we believe innovation does matter, especially in cyber security and protecting the SMEs. The cost of cyber-crime is growing exponentially from $500 Billion in 2015 to $2 Trillion by 2019. The focus is First World Countries where SME’s make up 95% of businesses and 70% of the economy. For every news headline of an enterprise cyber-attack there are thousands against SME’s which are never reported. Small businesses do not have the sophisticated cyber monitoring and prevention used by enterprises and so are extremely vulnerable. They are a much larger target with a much softer attack surface. We hope to join the long line up of past winners and finalists who have gone on to make a big difference to society with their innovations. A fabulous speech by the 2012 Growth Category Winner, Grant Grosser, Director SEQTA illustrates how the Innovator Award helped them to achieve their full potential. Thanks to all our investors, partners and customers who believe in us and our potential.